"What are the uniform and ordered movements, by the assumption of which the apparent movements of the planets can be accounted for?" - Plato 4th Century B.C. 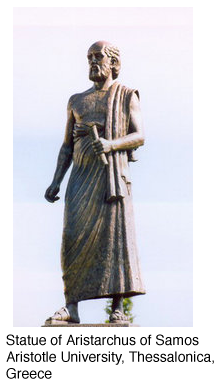 "Copernicus of Antiquity" - Aristarchus of Samos ( circa 310 BC - 230 BC ) - This Greek astronomer, philosopher and mathematician first proposed a heliocentric model of the universe some 1,700 years before Copernicus. 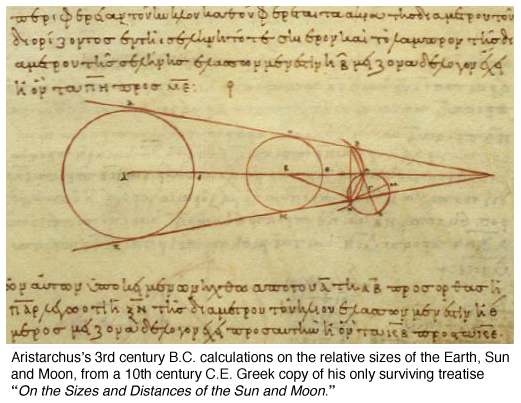 He is best known for his pioneering attempts to determine the sizes of and distances to the moon and Sun in his seminal work "On the Sizes and Distances of the Sun and Moon" using Euclid's laws of proportions. 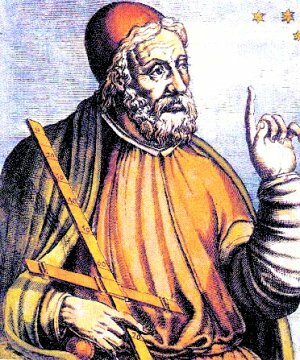 Ptolemaic Geocentric Model of the Universe - Claudius Ptolemaeus ( Κλαύδιος Πτολεμαῖος, circa 90 AD - 168 AD ), Hellenized Egyptian mathematician and astronomer of Greek ancestry living in or near Alexandria, propounded the geocentric ( Earth - centered ) model of the universe in his Almagest book ( "The Great Treatise", 147/148 AD - his original was written in Greek and later translated into Arabic ) but which was subsequently supplanted by the heliocentric ( Sun - centered ) Copernican Model by Nicolaus Copernicus ( 1473 - 1543 ) owing to the complexities of the Ptolemaic system in explaining planetary retrogrades or "wanderings". In fact, the word 'planets' comes from the Greek word ( πλανήτης - planētēs ) meaning 'wanderer'. These "celestial wanderings" of moon, planets and Sun due to retrogradation ( the apparent variations in distances, direction and speed of planetary bodies as observed from Earth and due to Earth's own orbital transit ) came to be explained in the Ptolemaic Model by means of "Deferents and Epicycles" ( circles within circles within circles ) - type of mathematics. Copernican Heliocentric Model of the Universe - By the time that Nicolaus Copernicus ( Polish: Mikolaj Kopernik, 1473 - 1543 ), mathematician - astronomer, produced his Sun - centered model of the universe in his De Revolutionibus Orbium Coelestium ( "On the Revolutions of the Celestials Spheres" ), completed in the year of his passing, the earlier Ptolemaic system had become overwhelmingly complex as circles within other circles were added into the model in order to further account for other newly observed planetary anomalies. 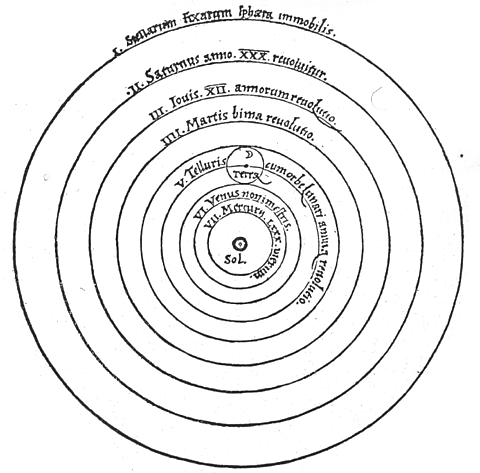 And although Copernicus placed the Sun at the center not only of the solar system but also of the entire observed universe, he was never able to reduce down the amount of epicycle circles below 34 from about 80 for Ptolemy's ever expanding model. Besides, his model also continued the idea that planetary orbits were perfect circles which was eventually disabused by Johannes Kepler's ( 1571 - 1630 ) model of orbital ellipsis. Nevertheless, the Copernican Revolution in modeling the universe and hence Earth's solar system was a giant leap forward in cosmological understanding. First of all, it placed the Sun at the center of the entire observed universe and not the Earth. The model further propounded that the distance of the Earth to the Sun was incomparably small as compared to other distances in the universe and explained the apparent ( and thereby illusory ) retrograde planetary motions in the sky as having to do with Earth's orbital transit about the Sun from which observations are made in any case. But perhaps the most profound aspect of the Copernican Heliocentric Model was the matter of simplification itself. That is, the Copernican Model simplified everything, from numbers of epicycles to an understanding that human inquiry and knowledge itself are sufficient to explain things way beyond anything that formal religion could ever have provided which is undeniably true even today. This then became one of the first applications of The Law of Parsimony ( Occam's razor or Ockham's razor - from English logician and Franciscan friar William of Ockham, circa 1288 - circa 1348 ) whereby if ever there are two or more explanations for the same observed phenomenon, that the simpler one must be chosen for the sake of human understanding. It is this philosophical "law of simplicity" which more than anything else has guided science up thru Einstein's Relativity and continues unabated in today's modern science! A Helical Model of our Solar System - See animation by Artiste DjSadhu where our sun makes a complete orbit throughout the Milky Way in approximately 225 - 250 million years. 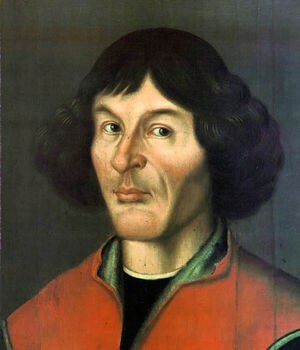 The Cosmological Principle as derived from The Copernican Principle - The Cosmological Principle as derived from The Copernican Principle is the philosophical proposition that because the Earth is not the center of the universe and that the universe itself has no inherent unique center, then therefore the universe itself is both homogeneous and isotropic as seen over large scale observations of space. This means that over truly large scales that the universe is the same from point to point - i.e., the universe appears the same along all lines of sight for any observer situated at any place in the vast expanse of the universe. It is true that below 200 million parsecs of observation that there are heterogeneous structures consisting of irregular and unevenly distributed homogeneous spaces of galactic superclusters, clouds, filaments and voids; but above this arc - window of observation the universe truly opens up into a homogeneous and isotropic space. So, whereas observable space is known to be homogeneous and isotropic over large scales of space, nevertheless it has come to be observed for reasons still unknown that the universe is non - homogenous and non - isotropic over large scales of time. What this means is that since about half the time of the Big Bang's onset, gravity's effect upon all matter has declined to where not only is the universe expanding but it is expanding at an ever accelerating rate! This further means that time's arrow or march is perhaps different or distorted from whence it originated some 14 billion years ago. We now know that during the first half of the universe's existence that gravity was the predominate force in the universe in gathering in atoms and then clusters of atoms to form galaxies and superclusters of galaxies. But since that earlier time dark energy is perhaps now the dominate force in nature's expanding universe, whose expansion is occurring at ever accelerating rates and making the universe both non - homogenous and non - isotropic over large scales of time and heading towards The Big Freeze or Big Rip! This later condition is also known as the "Heat Death" of the Universe where space - time has reached maximum entropy which derives from the 2nd Law of Thermodynamics. However over non - cosmological scales of space and time, astrophysicists and cosmologists still adhere to the concept of the universe being homogeneous and isotropic and this is the present position that this relativity science essay will take for purposes of simplicity and actual unknowing. 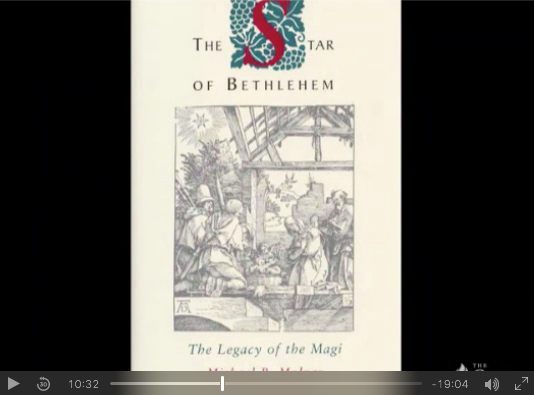 The Arrow of Time - In some time beyond the present age of the universe ( approx. 13.73 billion Earth - years, closer to 13.8 ), these drifting orphan white dwarfs eventually cool further down by entropic thermal radiation into brown and, finally, unseen black dwarfs, not to be confused with either black holes or neutron stars. The Age of the Universe - Upon examination of the "fingerprint of spectrum light" emanating from any given star in the universe, it's possible of course to determine the iron metallicity content in a star's light spectrum and therefore to approximate the age of the star. That is, the lower the iron metallicity content, the closer and hence younger is the star to the original source of the Big Bang occurring at approximately 13.73 ( better 13.8! ) billion Earth - years ago. In this regard, Australian astrophysicists recently discovered a star by the nomenclature of SMSS J031300.36-670839.3 ( paper submitted 6 Feb 2014 ) at an approximate 6,000 light years from Earth laying in our own Milky Way galaxy with an "Earth age" of 13.6 billion years thus making it the oldest star heretofore observed and just a couple hundred million years after the Big Bang! More simply, the less iron detected, the older the star to the time of Earth but younger compared to the origin of the Big Bang; more iron detected in the star's light spectrum, the older the star compared to the origin of time to the Big Bang but closer to Earth's age of approximately 4.5 billion years. The Anthropic Principle - From the Greek word for human being ( ἄνθρωπος - ánthrōpos ), the Anthropic Principle has come to mean that there exists in the universe finely tuned constants and forces. note: the fine - structure constant has since been replaced as a scalar field in the mathematical physics work performed by Jacob Bekenstein ( 1947 – 2015; Jewish Polish parents escaping Germans; Mexican-born; duel Israeli-American citizenship therefore Zionist; theoretical physicist and cosmologist ) in generalizing the laws of electromagnetism to overcome the inconstant "constants" of the fine - structure constant. and, finally, the four fundamental forces of nature ( strong nuclear force, weak nuclear force, electromagnetism, and gravity force ) together with dark energy comprising 70% of the universe, the remainder being 25% dark matter and 5% ordinary matter or stuff. And, therefore, by the Anthropic Principle, all of these constants and forces conspire to produce the configuration of the present universe and thence the carbon necessary for intelligent human life on Planet Earth to have successfully evolved. Change one constant or one force, and intelligent human life on Planet Earth ceases to exist. [ note: whether intelligent human life continues successfully on Planet Earth is definitely up for debate ] This latter is also sometimes referred to as "carbon chauvinism" as there may actually be alternative bio - chemistries in the universe as the basis for the development and evolution of intelligent life forms different from our own. Nevertheless we are what we are in this carbon - based world of ours, and the Anthropic Principle still stands as a unifying philosophical statement as to why everything exists as it does.